However there is a hidden gem buried within the small business simplified depreciation provisions that in some circumstances can widen the application of this valuable deduction. 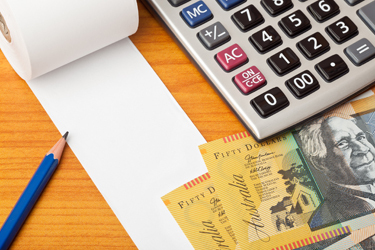 It is possible, under certain conditions, for individuals such as employees to be able to claim the write-off for depreciating assets used in producing non-business assessable income – such as employment or investment income. The questions and answers below tease out the situations where those rules may be applicable to a wider proportion of taxpayers. Isn’t it only small businesses that are eligible for the $20,000 write-off? the taxpayer’s aggregated turnover was less than $2 million for the previous year, or is likely to be less than $2 million for the current year. The legislation leaves no doubt that only a small business entity can utilise the $20,000 write-off. So how can an employee claim the deduction? An employee taxpayer is eligible for the write-off as long as they are also a small business entity. In other words, the individual’s status as a small business entity allows them to use the $20,000 write-off. The fact that the taxpayer is also an employee does not affect their eligibility. Isn’t the $20,000 write-off only for assets used in the small business? Actually, no. The law is more generous than that. The small business entity can deduct the cost of the asset for the income year in which the taxpayer starts to use the asset, or has it installed ready for use, for a taxable purpose. The law does not restrict the concept of a “taxable purpose” only to purposes related to the business that is carried on. In fact, the expression “taxable purpose” is defined in the capital allowances rules as including a very broadly stated purpose – the purpose of producing assessable income. Income from employment (salaries and wages, commissions, bonuses, allowances and so on) is generally assessable income. For that matter, most passive investment income (such as dividends, net rental income, interest, net capital gains) is also assessable income. the asset is held for the purpose of producing any type of assessable income – whether the income is business income, employment income or investment income. Where the asset is held only partially for an income-producing purpose, a corresponding proportion of the asset’s cost will be deductible. Remember that the instant write-off is only available if the total cost of the asset is less than $20,000, and not just the taxable purpose portion of the cost. Rosaria “carries on a business” from home as a sole trader, and meets the conditions to qualify as a “small business entity” in relation to her business activities. Rosaria is also employed part-time by a company as a member of its management team. Due to her family responsibilities and business activities, she works in the company’s offices only two days a week. On the days when she is not in the office, she fulfils her duties from home. During 2015-16, Rosaria purchased a new desktop computer for her home for $5,000. Her records show that she uses the computer 70% for her employment duties and 30% for personal purposes. She has continued to use her old laptop for her home business activities. The new computer is not used for the home business at all. she holds the computer partly for a taxable purpose (being the purpose of deriving assessable income from employment). The above commentary only looks at how the $20,000 write-off can be applied to assets used for deriving non-business income – as long as the taxpayer is a small business entity by virtue of their business activities. The same analysis applies to the general small business pooling regime within the simplified depreciation system. That is, a small business entity taxpayer may pool assets held for a “taxable purpose”.